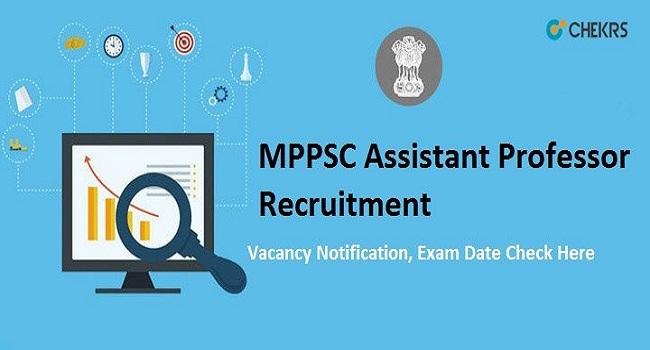 MPPSC Assistant Professor Recruitment 2019: The Madhya Pradesh Public Service Commission has made an announcement calling candidates to apply for the vacancies provided in the notification. According to the released notification, there is a requirement for the post of Assistant Professor in the higher education department of MP. There are total various vacancies in Madhya Pradesh Assistant Professor Recruitment 2019 for which the candidates can send their application before the last date. More from the recruitment such as the MPPSC Assistant Professor Vacancy 2019 Notification, qualification required, pay scale, application process, etc are being shared in the article. Latest Update: Madhya Pradesh PSC is going to publish the Assistant Professor Recruitment 2019 Notification for various vacancies. The link to apply online has been given below. The Madhya Pradesh Public Service Commission has been released Assistant Professor Recruitment 2019 Notification on the official website to fill up the various vacant posts. The Madhya Pradesh education department is giving the opportunity to the candidates who have been preparing for the Teaching Job. For the MPPSC Assistant Professor Vacancy 2019 candidates will have to send applications through the online medium whose process is provided by us. There is a total of 41 subjects for which the candidate from the strong educational background is eligible to fill the MP Sahayak Pradhyapak Online Form. The applicants should have completed his/her education with min. 55% marks in the subject they are applying for. The candidates should have passed the exam of NET conducted by the CSIR or equivalent recognition like SET/SLET (MP only). The candidates who have done Ph.D. are also eligible. The minimum age limit of the candidates (residents of MP) is 21 years and maximum 40 years. The minimum age limit of (non-residents of MP) is 21 years and maximum 28 years. There are up to 50 years of relaxation for the candidates applying for the vacancy. The selected candidates will be given a monthly salary of Rs 15600-39100 + 6000 AGP. The reserved category candidates will have to pay Rs 500/- as the application fee. From the home page click on the section of apply online. All the ongoing application form filling link will appear on the screen. Search for the Assistant Professor Exam 2019. Enter all the details as asked in the online application form. Attach the required documents such as photograph and certificates. Pay the online application fee using the number. The final selection of the candidates will be done on the basis of the marks scored by them in both of the tests. It will be necessary for the applicants to qualify the tests individually. The exam date will be announced soon to the applicants. If you don’t want to miss the admit card and exam date notification allow jobs.chekrs.com to push all latest notification on your device. If you have any questions about MPPSC Assistant Professor Recruitment 2019, leave in the comment section.